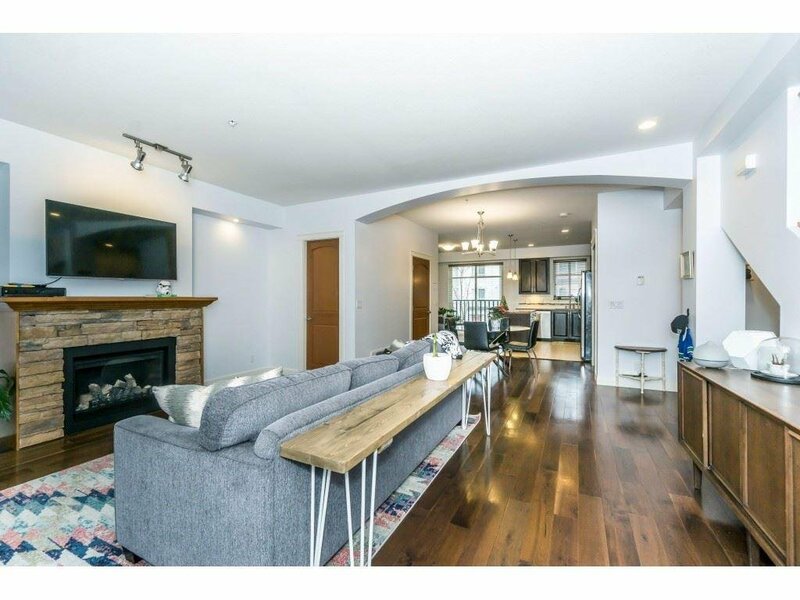 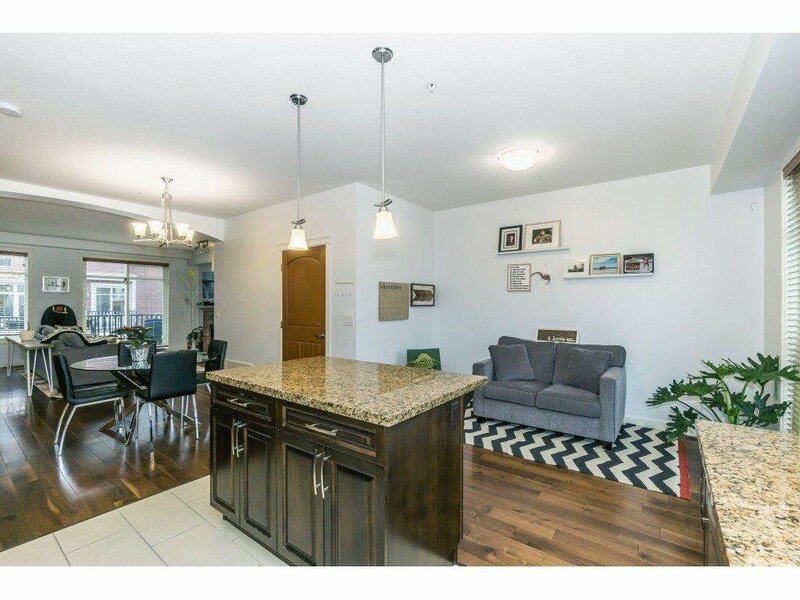 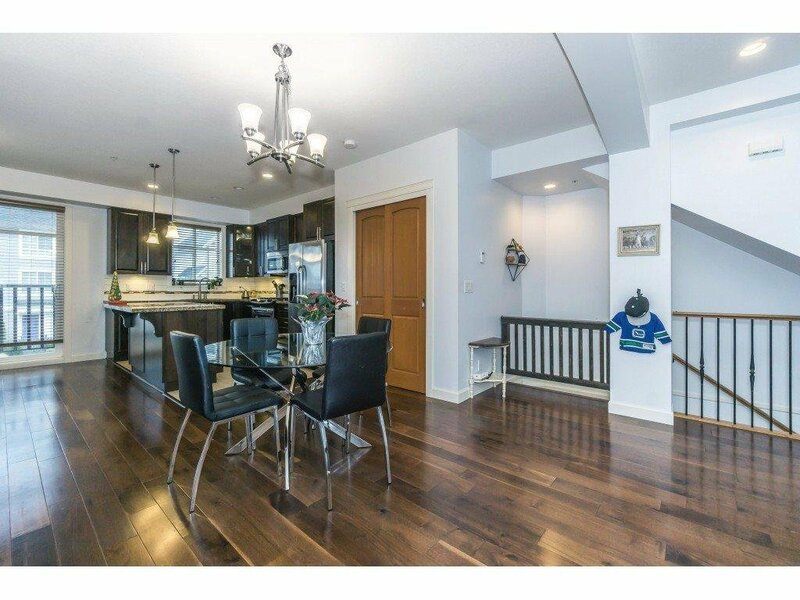 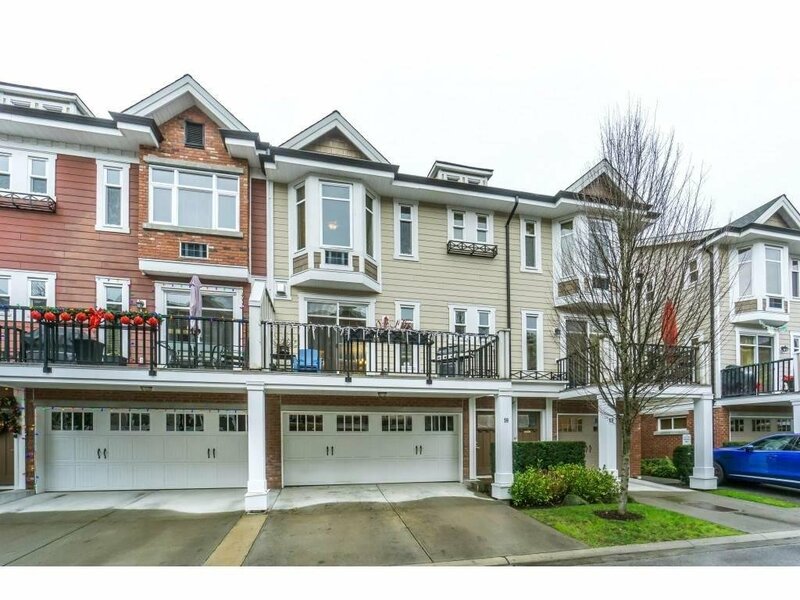 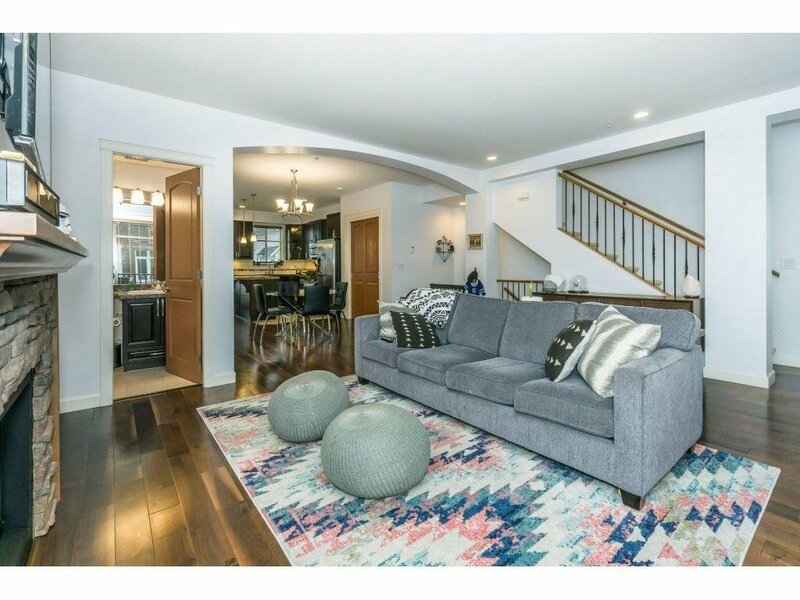 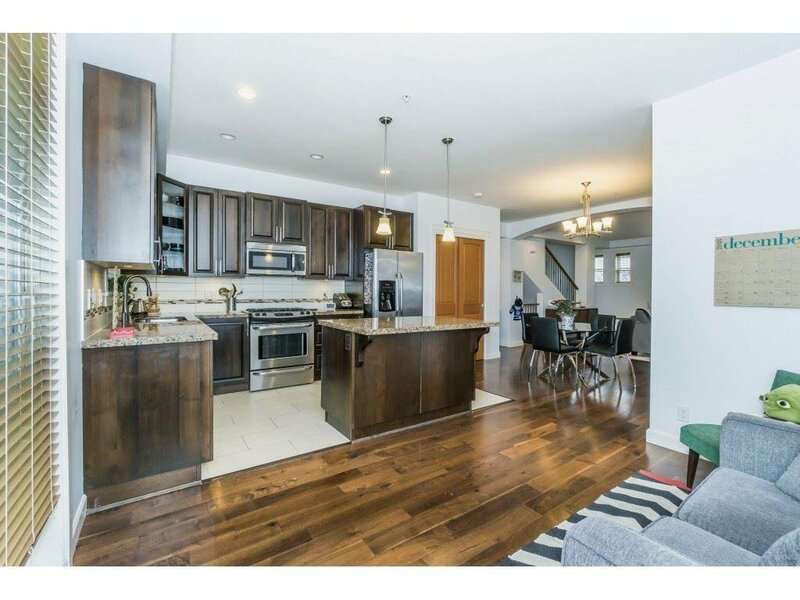 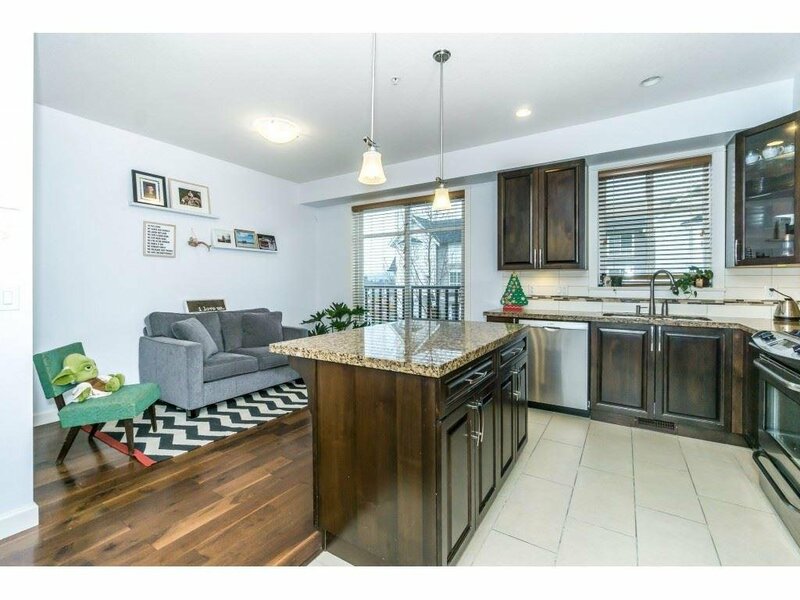 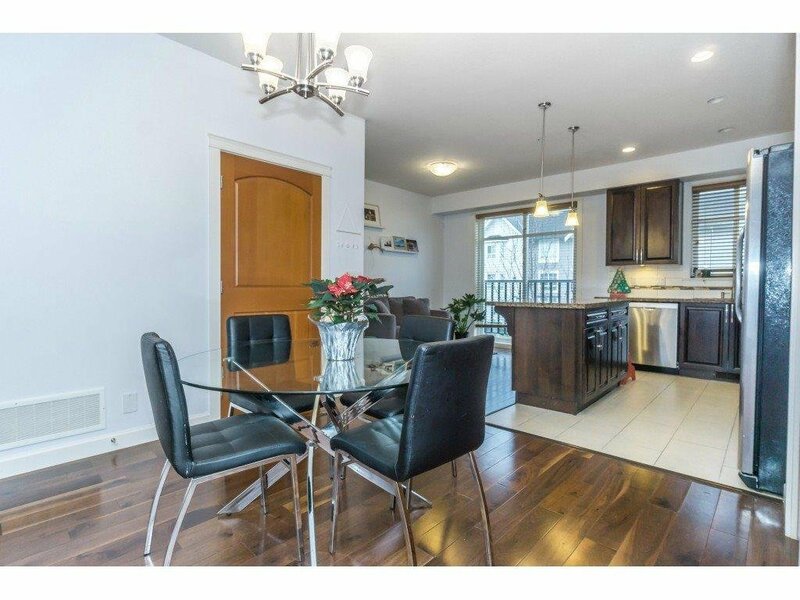 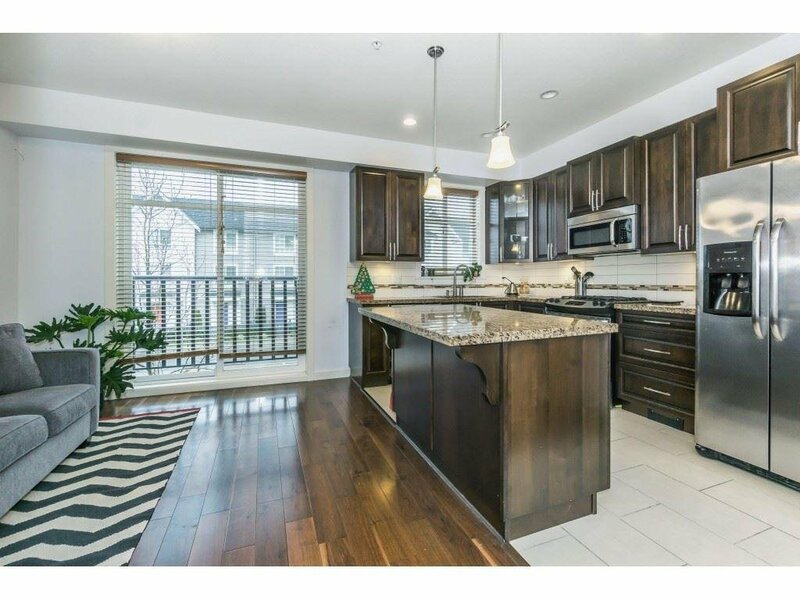 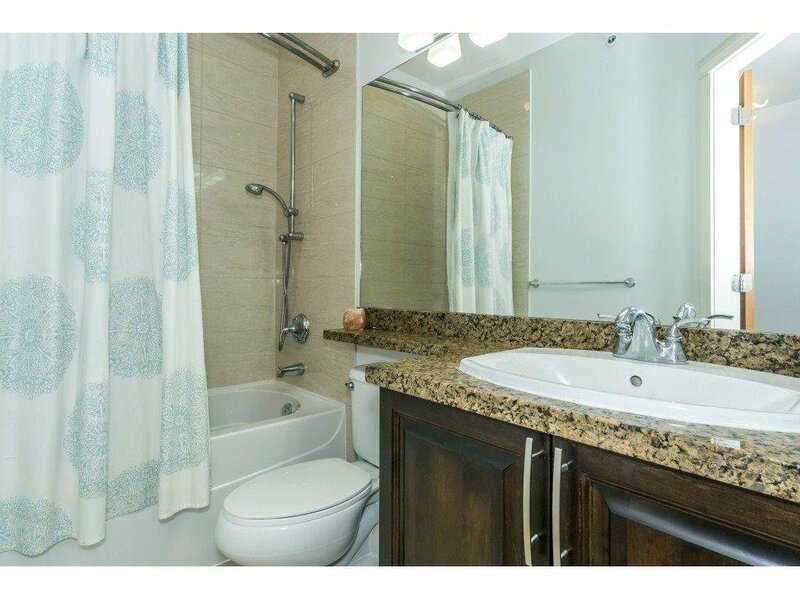 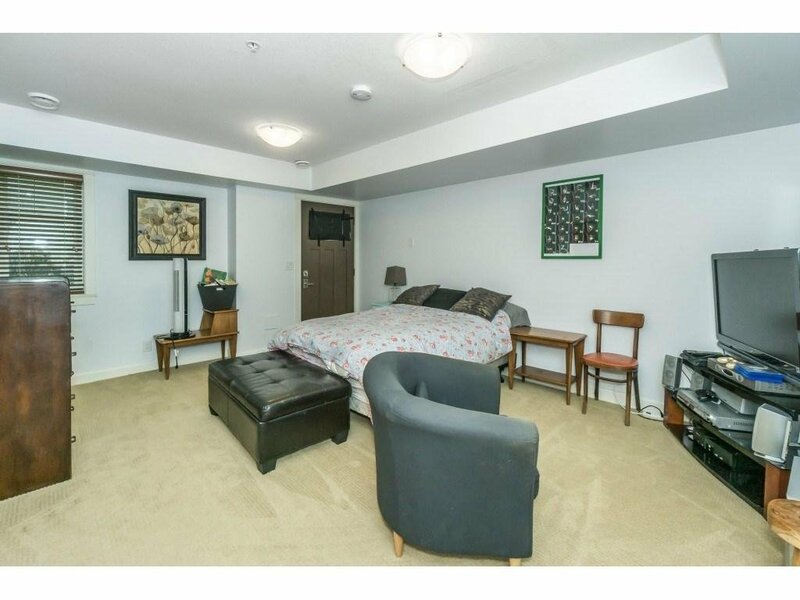 One look will do and you'll fall in love with this Beautiful townhome in popular Yorkson Creek! 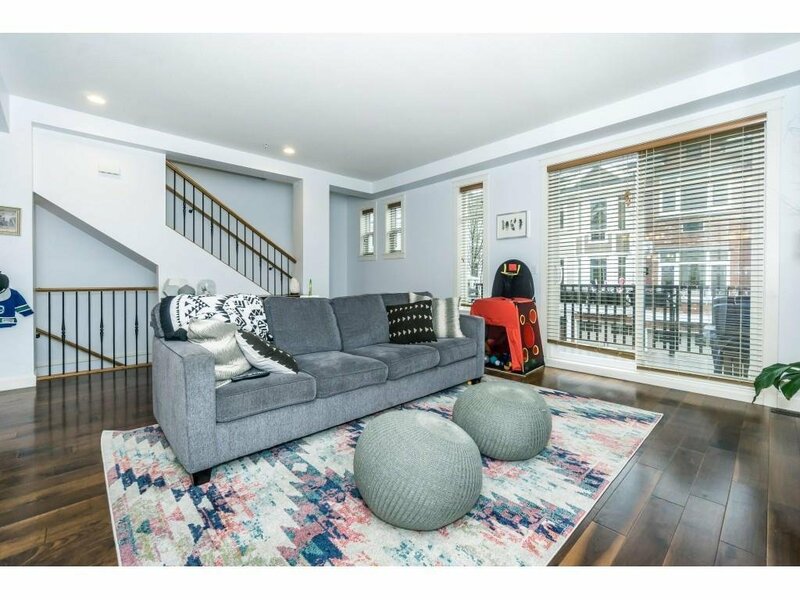 Offering almost 2100 S/f this Spacious home has 9 foot ceilings & Gorgeous Hardwood floors throughout main. 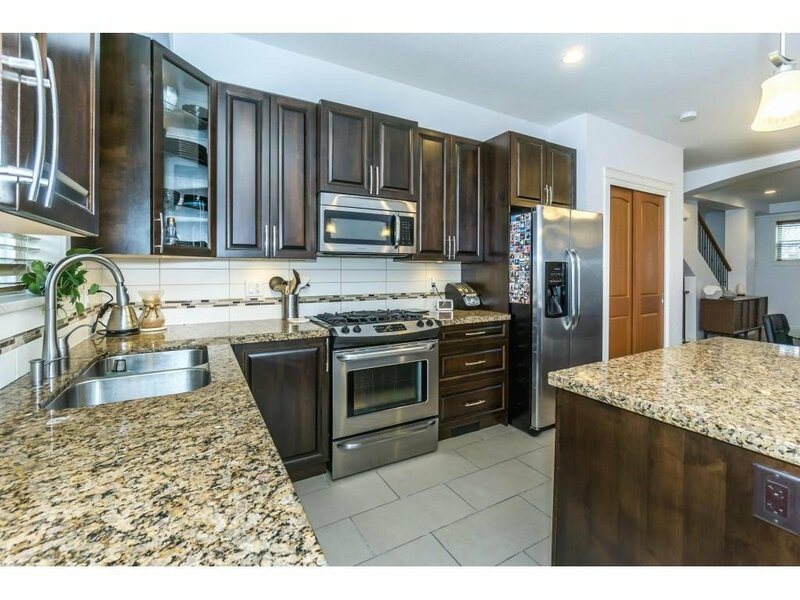 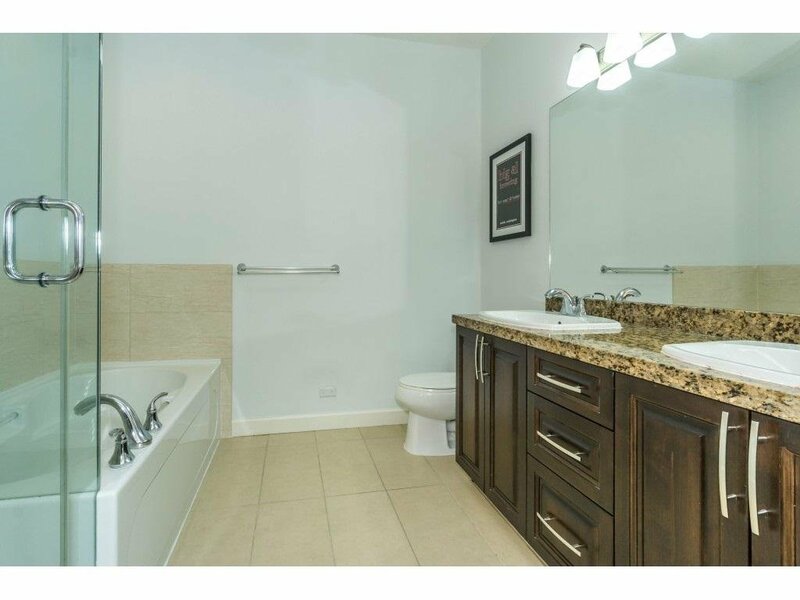 Kitchen features S/S appliances, soft close cabinets, gas stove, granite countertops & a large pantry. 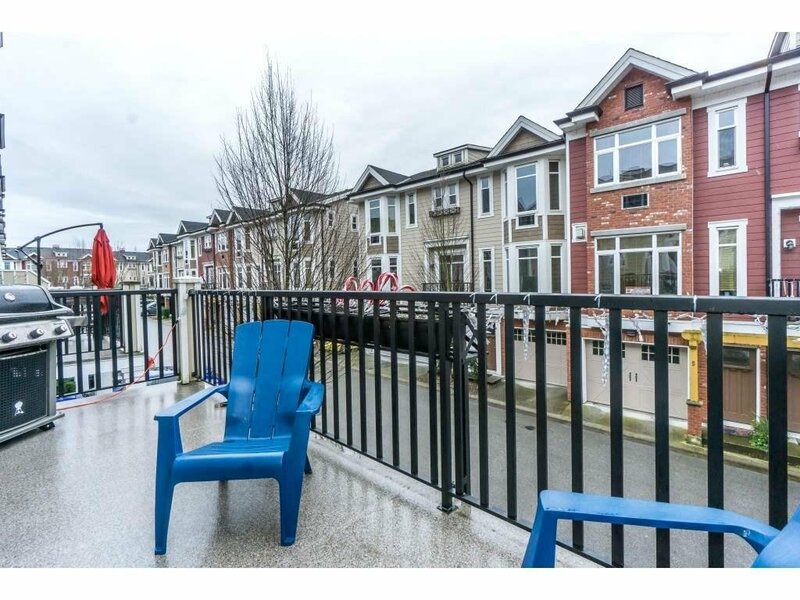 Also offering A/C, gas fireplace & gas BBQ connection on your south facing balcony. 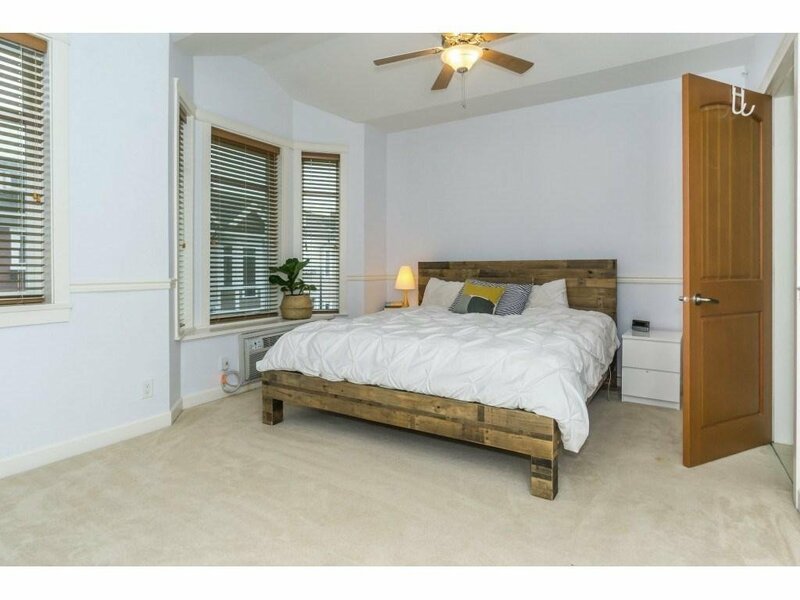 Master features vaulted ceiling, walk in closet with B/I organizers & spa like ensuite w/ soaker tub, large shower & heated floors. 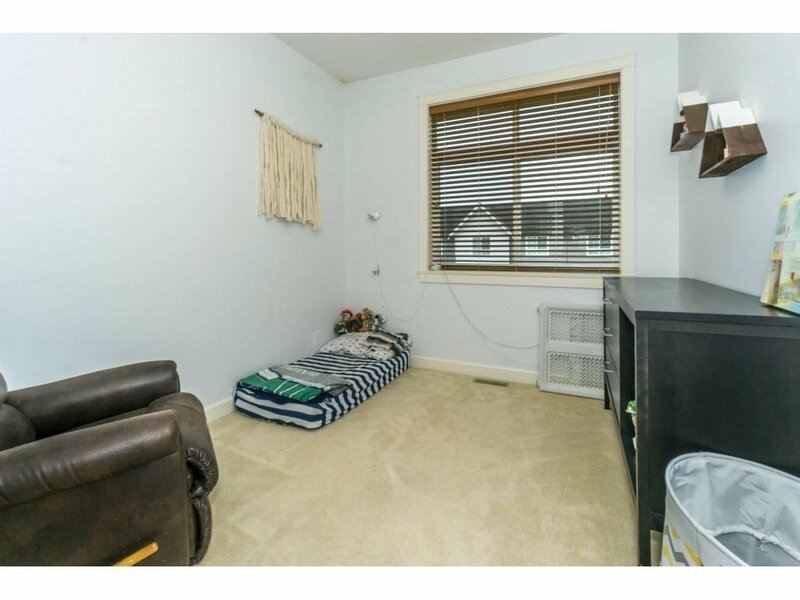 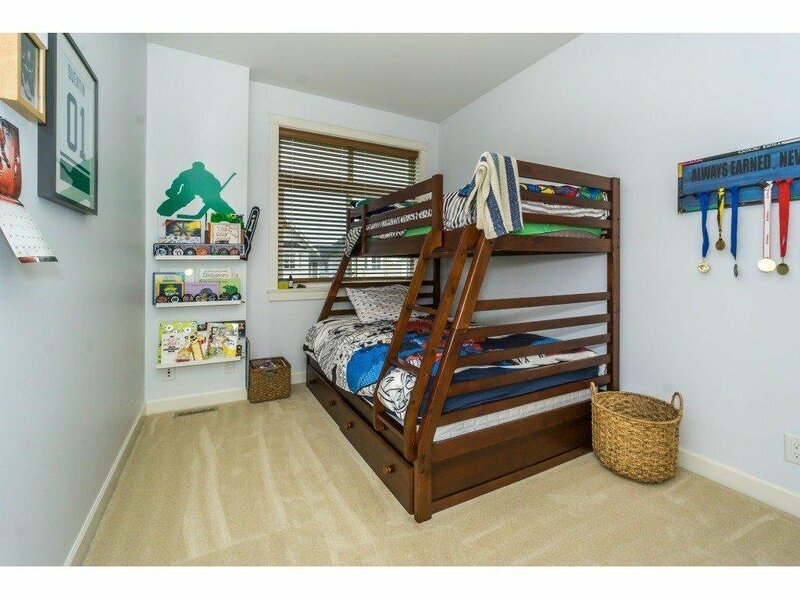 Bonus rec room/4th bedroom downstairs has separate entrance & is fully finished with full bathroom. 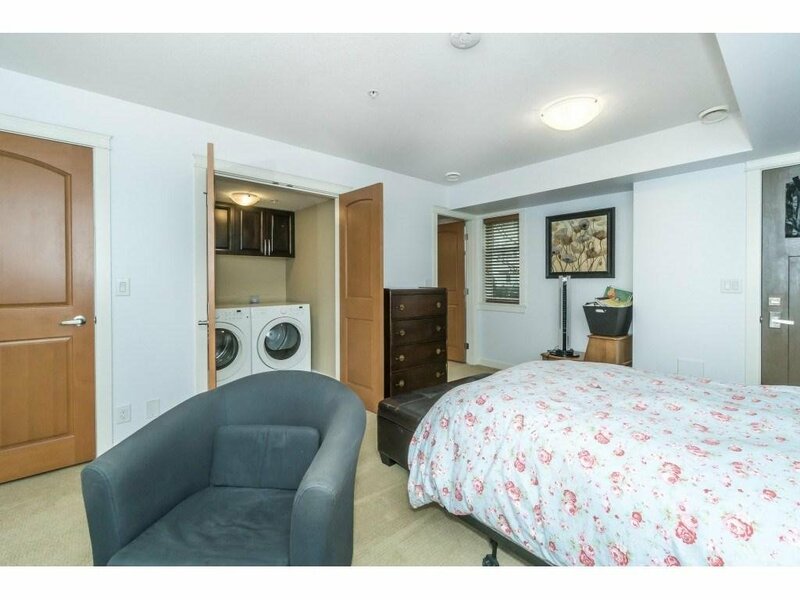 2 Laundry rooms up and down! 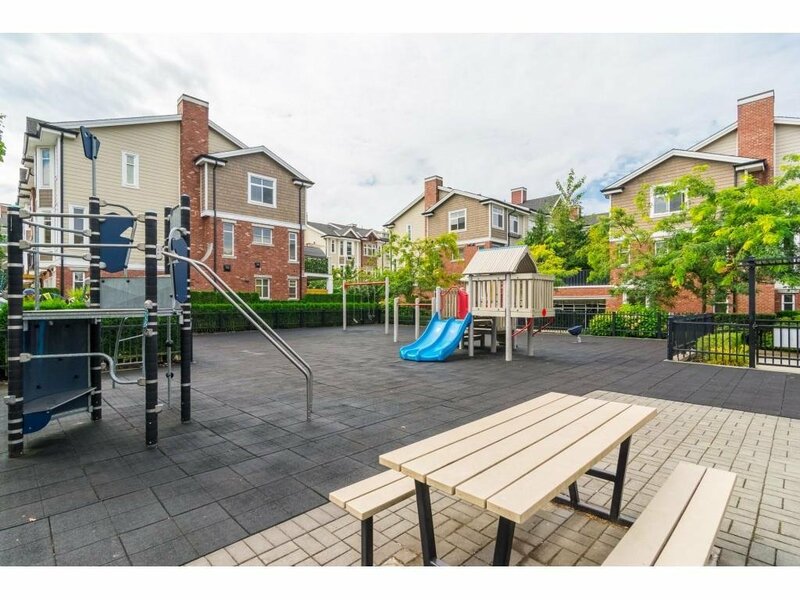 Close to schools, shopping, transit, parks & HWY 1 access.